This tooth correction method is developed in a special software that allows the simulation of future teeth movements, as well as the total number of films to be used for moving them. The films are transparent and go over the surface of existing teeth. The benefits of this method are that you can always remove the foil and restore it, which is not the case with fixed orthodontic appliances with locks. The foil set is used to correct the teeth and it is possible to get a complete therapy kit in one step, once visiting the dentist. It consists of a set of foils that change for approximately 12-14 days. By constant wearing of the foil daily, continuous pressure on the teeth leads to the movement of the teeth. The number of films depends on the weight of the malposition, the number of teeth to be involved in the therapy, and how to move these teeth during therapy. This method is very effective, and essentially not invasive for the patient. The foils are very comfortable to carry and do not cause speech or chewing problems. The advantage is that they can be removed from the mouth so they are excellent for maintaining hygiene and nutrition. With the aesthetic side, it is the most comfortable solution for dental correction. Demand for dental floss is on the rise, especially in adult patients who do not want to use a fixed orthodontic device with locks. 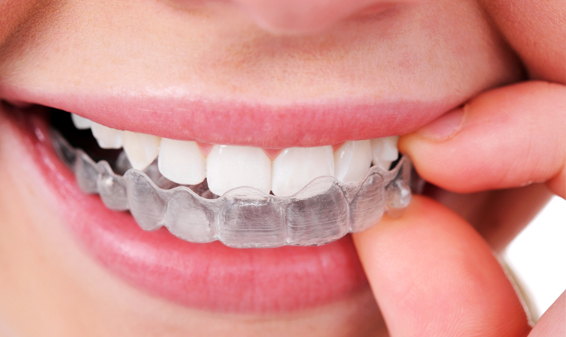 The very fact that straightening teeth with foils is an aesthetically acceptable, highly effective and non-invasive treatment, helps patients to opt for more and more.